On 4 July, 1910, in 100-degree heat at an outdoor boxing ring near Reno, Nevada, film cameras recorded-and thousands of fans witnessed-former heavyweight champion Jim Jeffries' reluctant return from retirement to fight Jack Johnson, a black man. After 14 grueling rounds, Johnson knocked out Jeffries and for the first time in history, there was a black heavyweight champion of the world. At least 10 people lost their lives because of Johnson's victory and hundreds more were injured due to white retaliation and wild celebrations in the streets. Public screenings received instantaneous protests and hundreds of cities barred the film from being shown. Congress even passed a law making it a federal offense to transport moving pictures of prizefights across state lines, and thus the most powerful portrayal of a black man ever recorded on film was made virtually invisible. 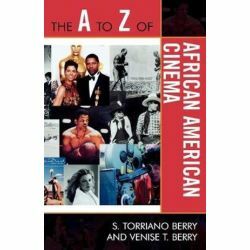 This is but one of the hundreds of films covered in The A to Z of African American Cinema, which includes everything from The Birth of a Nation to Crash. In addition to the films, brief biographies of African American actors and actresses such as Sidney Poitier, James Earl Jones, Halle Berry, Eddie Murphy, Whoopi Goldberg, Denzel Washington, and Jamie Foxx can be found in this reference. 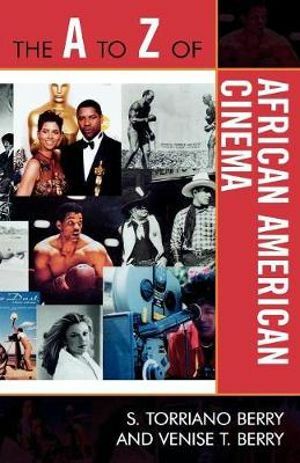 Through a chronology, a list of acronyms and abbreviations, an introductory essay, a bibliography, appendixes, black-&-white photos, and hundreds of cross-referenced dictionary entries on actors, actresses, movies, producers, organizations, awards, film credits, and terminology, this book provides a better understanding of the role African Americans played in film history.